MA (Oxon), BA, BSc, Adv Dip Couns. With many years' experience of working in clinical services in the NHS, I have a particular interest in working with people with mental health issues, such as depression and anxiety, stress-related illnesses, addictions, self-harm issues and eating problems, as well as personality issues and the effects of past trauma. I offer psychodynamic counselling and Jungian analytical psychotherapy to individuals, working both long- and short-term, depending on what you need. 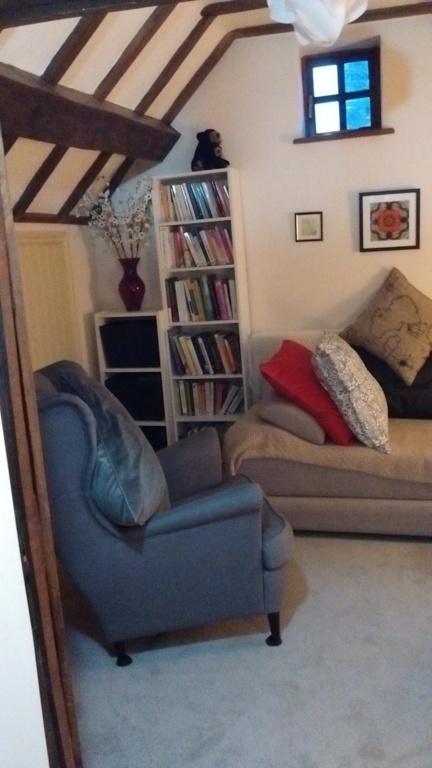 My consulting room is located in the Vale of Evesham in Worcestershire, between Pershore and Evesham, within easy driving distance of Worcester, Tewkesbury, Cheltenham, Redditch, Stratford-upon-Avon and Broadway. I have an additional practice base at The Isbourne Centre in central Cheltenham, Gloucestershire. Member of the West Midlands Institute for Psychotherapy (WMIP).